A German Luftwaffe Tornado fighter-bomber. As NATO works to revise its nuclear and deterrence strategy in time for its May 2012 Summit in Chicago, Germany is pushing for changes in the Alliance’s declaratory policy and for a stronger role of NATO in arms control and disarmament. Yet at the same time, Berlin is trying to dodge a debate about the deployment of new types of U.S. nuclear weapons in Europe. The recent replies by the German government to a set of more than 100 questions asked by the Social Democrats in the Bundestag on Germany’s nuclear arms control, disarmament and nonproliferation policy provide some insights on the subject. The answers ranging from issues such as the a nuclear weapons convention, the nuclear Non-proliferation Treaty, Iran and missile defense, make clear that Germany intends to remain a key player in the current NATO’s Deterrence and Defense Posture Review (DDPR). One contentious issue among allies is whether the Alliance should change its current nuclear doctrine, which still allows for the first-use of nuclear weapons against non-nuclear adversaries. Berlin now says that it wants NATO to change its current posture so that it reflects the policies of the United States and the United Kingdom. Both countries commit all of the nuclear forces assigned to NATO and have recently pledged not to threaten the use or to use nuclear weapons against non-nuclear nations that comply with their non-proliferation commitments. The United States’ 2010 Nuclear Posture Review Report states that: “the fundamental role of U.S. nuclear forces is to deter nuclear attacks against the U.S. and our allies and partners.” This represents a major shift away from the Cold War-era strategy of “prevailing ” in a nuclear war and using nuclear weapons to counter conventional military threats. In 2010, the German Parliament had called upon the government to urge the nuclear weapon states to adopt a sole purpose posture and not to threaten the use or use nuclear weapons against nuclear as well as non-nuclear weapon states. In reply to the Bundestag, the government now states that it supports “the transfer of the principles underlying the negative security assurances” adopted by the United Kingdom and the United States “to the NATO context.” Berlin promises that it “will continue” to advocate such a change of policy within the DDPR. Germany’s push for stronger NSAs puts Berlin at odds with its closest European partner, France. Paris rejects any changes to NATO’s declaratory policy even though France does not participate in the NATO’s Nuclear Planning Group and does not commit any of its own nuclear forces to NATO’s integrated nuclear planning. With its stubborn refusal of any serious discussion of NATO’s declaratory policy, Paris is increasingly isolated among NATO’s nuclear weapon states and those five countries that still host U.S. nuclear weapons on their territory. Some in Paris therefore advocate that France should “opt out” of the discussion on declaratory policy. However, because NATO’s new Strategic Concept describes the strategic forces of all nuclear NATO states (including French nuclear weapons) as the “supreme guarantee” of the security of the 28 NATO members, such a statement “at 27” in support for British and U.S. declaratory policy would in effect leave NATO with two declaratory policies. Thus, NATO would consider the use of those nuclear weapons assigned to NATO “only” against non-nuclear weapon states in compliance with their non-proliferation policies, while France would continue to threaten the use of nuclear weapons also against non-nuclear nations. Such a schizophrenic posture would not only be hard to conceive, it would also undermine the goal of strengthening the non-proliferation regime, which the German government explicitly cites as a reason to expand the Alliance’s NSAs. Another issue on which Paris and Berlin continue to disagree is NATO’s role in arms control and disarmament. The truce that both countries agreed to in April 2011—which was reflected in a joint proposal for the interim tasking of the new Weapons of Mass Destruction Control and Disarmament Committee (WCDC)—seems to be barely holding. The German government states in its reply to the Bundestag that it wants to turn the WCDC into a permanent institution with a life beyond the May summit. France opposes this and argues that NATO as a military alliance does not have a role to play in arms control. It wants the committee to be terminated in Chicago. Berlin also reaffirms its policy to work towards withdrawal of U.S. nuclear weapons from Germany and explicitly supports the inclusion of tactical nuclear weapons in a future U.S.-Russian arms control accord. Is there a future for nukes in Germany? While the German government appears to be ready to hold the line on declaratory policy and NATO’ role in nuclear arms control, it avoids taking a clear position on the future deployment of new types of nuclear weapons on its territory. Over the next ten years, the United States intends to replace the 180 or so B61 bombs it still deploys in Belgium, Germany, Italy, the Netherlands and Turkey with a new variant, the B61-12. These weapons are supposed to be safer and more reliable but will also have new military capabilities. Asked how U.S. plans to modernize tactical nuclear weapons fit with the German call for their withdrawal, the government argues that the B61 Life Extension Program (LEP) is a “national decision” by the United States, which has to be seen “independent of the question of implementation of nuclear sharing within NATO.” This is at odds with previous arguments by Chancellor Merkel that participating in nuclear sharing arrangements “secures Germany’s influence in this sensitive area of alliance politics.” If deployment of new nuclear weapons in Europe is not such a sensitive area, what is? Meanwhile, it seems more likely that Germany’s active participation in nuclear sharing will end as a consequence of aging hardware and infrastructure. The German news magazine, Der Spiegel, reported on March 12 that the German government is apparently planning for the withdrawal of U.S. nuclear weapons. 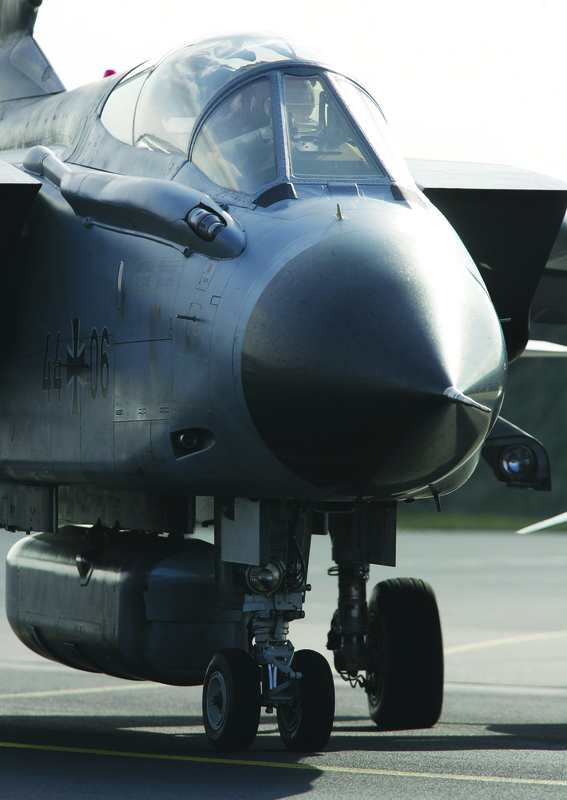 According to the report, the Tornado wing deployed in Büchel will be replaced by Eurofighter aircraft. The government’s reply seems to confirm the end of German involvement in nuclear sharing by clearly stating that the Eurofighter is not designed to carry nuclear weapons. It also states that the problem of certifying a new nuclear-capable delivery system “is not on the agenda” and that the German Ministry of Defense has not evaluated the suitability of the Eurofighter as a dual-capable aircraft. This entry was posted in Europe, Nuclear Weapons, Tactical Nuclear Weapons and tagged B61 Life Extension Program, Eurofighter aircraft, French nuclear policy, Germany's nuclear weapons policy, NATO, NATO 2012 Chicago Summit, NATO nuclear posture, NATO's declaratory policy, NATO's Detterence and Defense Posture Review, Tornado fighter-bomber, U.S. 2010 Nuclear Posture Review. Bookmark the permalink.